Are you ready to Shop the Neighbourhood Nov 28! 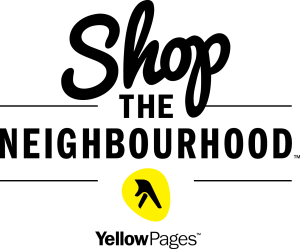 On November 28, 2015, Canadians nationwide are being encouraged to Shop the Neighbourhood and make a local purchase and take advantage of exclusive event deals offered by the businesses in their neighbourhood. The weekend celebrates small businesses and reminds Canadians how local shopping makes a difference in all our lives. So we ask you Parkdale, help us celebrate and chose to #Shoplocal or #Shopthehood on Nov 28 within our amazing Parkdale Village! But that’s not all, don’t let your support of community entrepreneurs end on Nov 28, we hope you’ll continue to shop and re-explore your community throughout December. 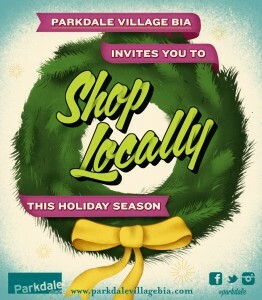 This entry was posted in Uncategorized and tagged November 28, shop local, shop locally, shop the neighbourhood by Parkdale Village BIA. Bookmark the permalink.